Rugged, split cowhide leather is durable and offers protection against both heat and cold transfer. The natural warmth of the leather is paired with insulation and a soft fleece lining for additional protection against the cold. 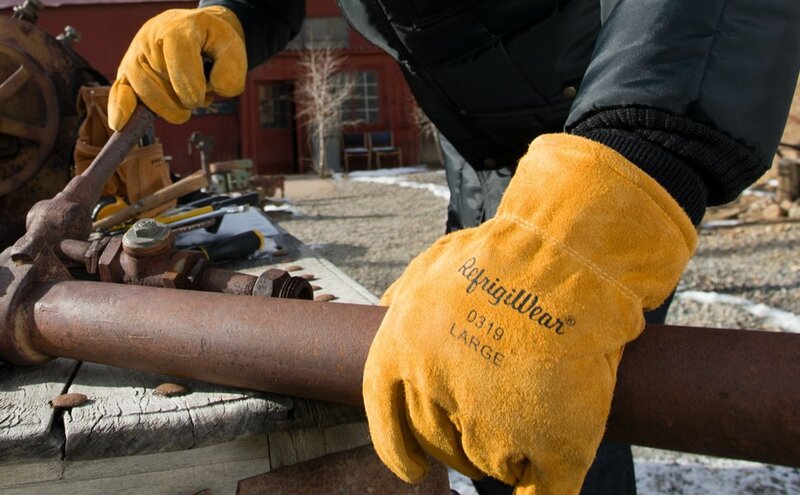 Perfect work gloves. Also available with our exclusive Key-Rite Nib. Learn more about the Key-Rite Nib and the available styles. Stay warm down to -20 degrees F with 160g of Fiberfill paired with foam insulation and a tricot lining. 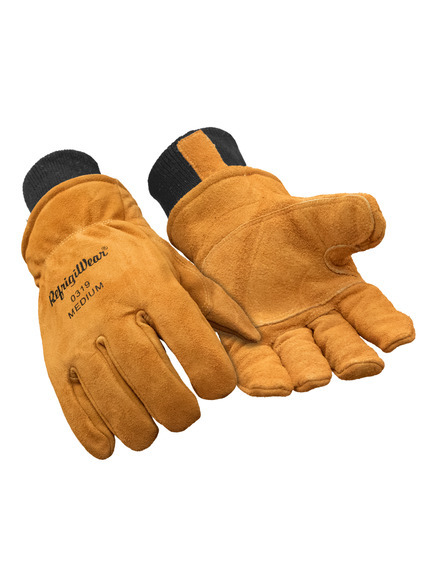 Not only durable and great for tackling any job, split cowhide leather provides great protection against the cold. 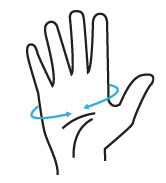 Safety cuffs seal out cold air and drafts as well as enhance product durability. 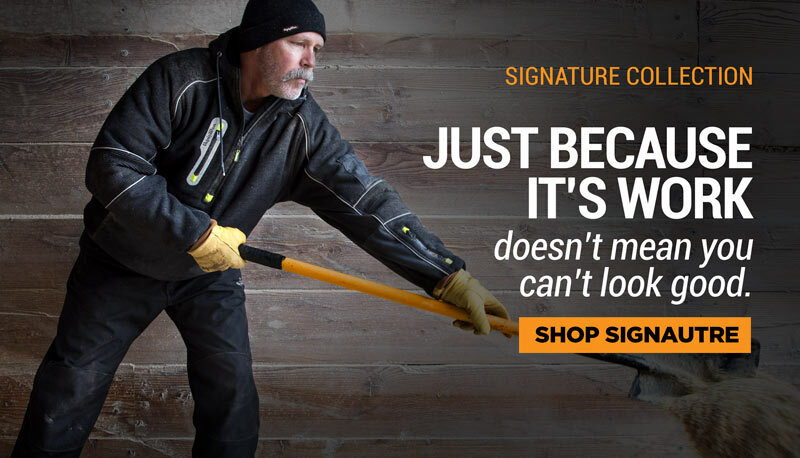 When tackling cold temperature activities you need gear designed to handle the conditions – gear as tough as you are. 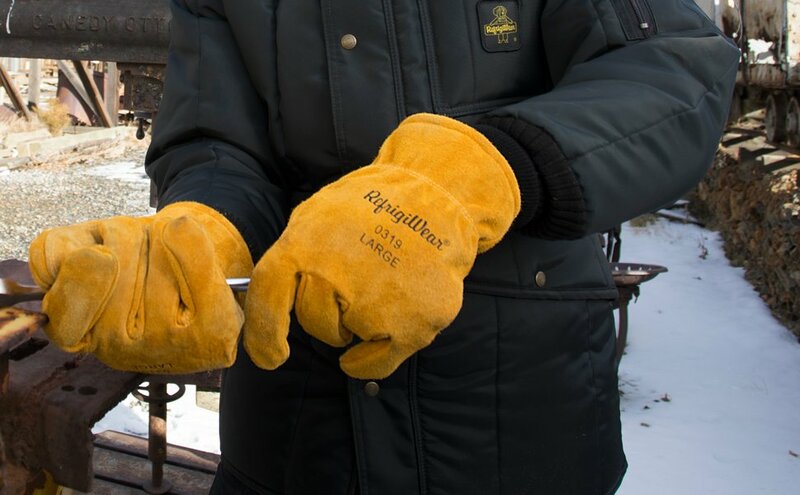 The Insulated Cowhide Leather Gloves from RefrigiWear feature reinforced leather on the palm and thumb, which prevents damage from every day use and reduces wear and tear. The Kevlar thread reinforces seams and protects from every day wear and tear.